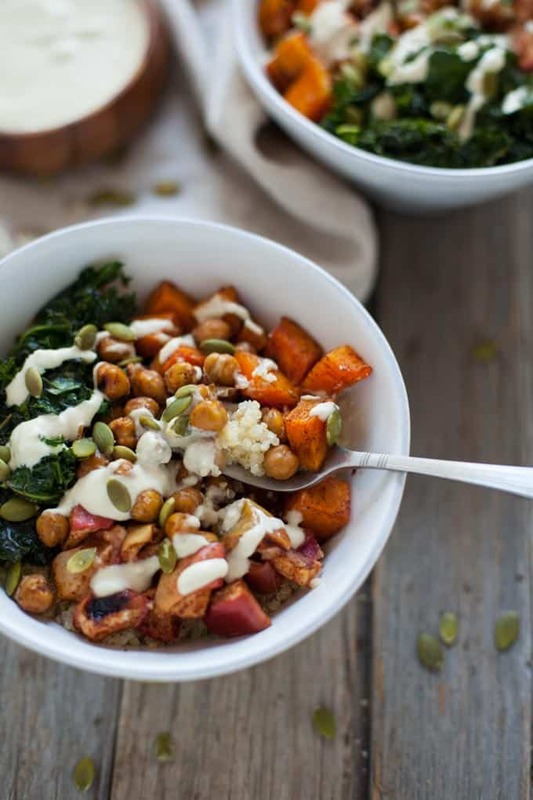 A seriously satisfying plant-based bowl, this fall harvest buddha bowl with creamy cashew apple cider dressing is the perfect grounding dinner to comfort you on a chilly fall night. Remember when I was all like fall, I love you. You with your red and yellow and orange foliage, you with your chilly-enough-for-flannel weather, you with your abundance of apples and winter squash and warm, grounding foods. K. Profession of love over. But really though, my love affair with fall doesn’t happen right away. 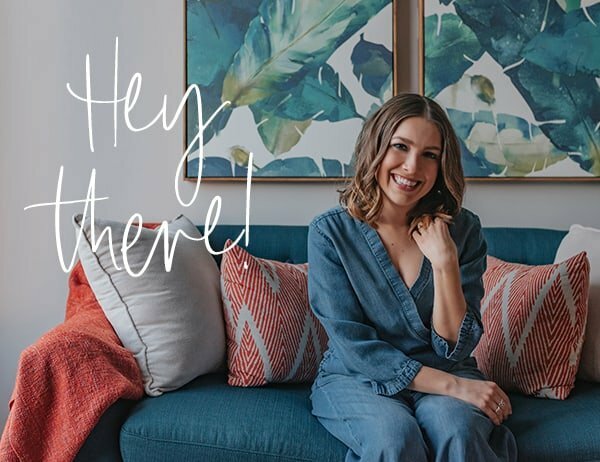 I always have a hard time with seasonal transitions (and life transitions in general) – call me a sensitive soul but I kind of have to grieve what we’re losing (long, warm summer days) before I can totally embrace what is coming. The good news is once I get over that awkward hump where I’m hanging onto the very last tomato the summer has to offer, I’m 100% in for apple picking, carving pumpkins and trips to Vermont to eat apple cider donuts hike. 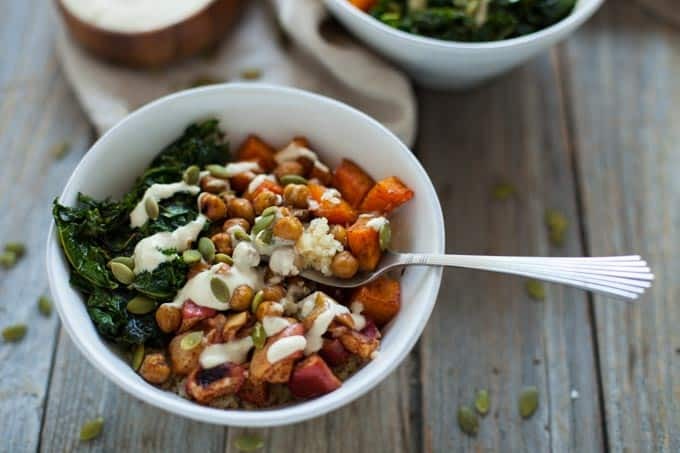 When I heard that the theme for Recipe Redux was plant-based protein bowls, I knew I would need to create a dish that helped me to LOVE on the season. 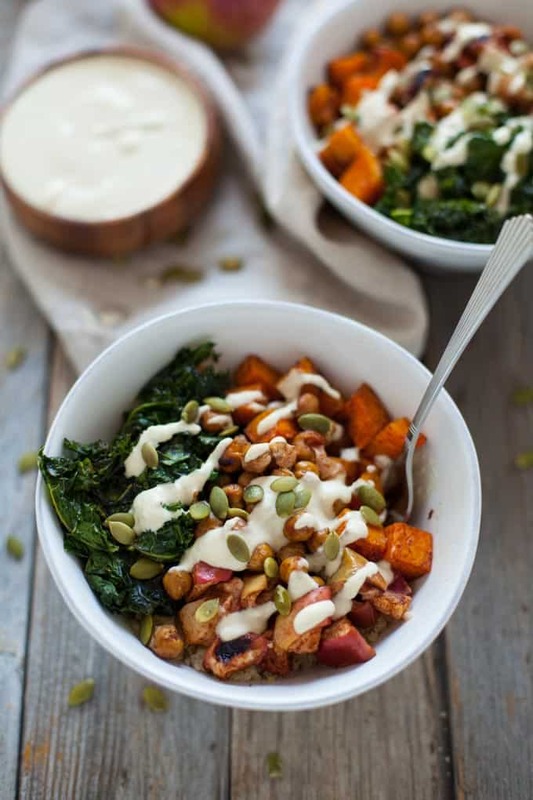 I also really like the concept of Buddha bowls – plant protein, leafy greens, root veggies and a creamy, plant-based sauce. And if we’re being real, I just like the name of them :). 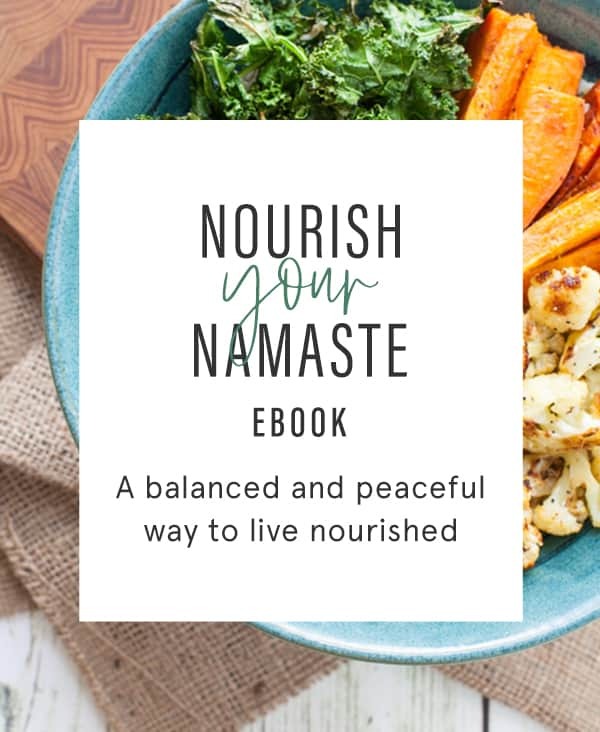 I made an Immunity-Boosting Buddha Bowl with Turmeric Tahini Dressing for my e-book, Nourish Your Namaste, and was dying to make another one for the blog. 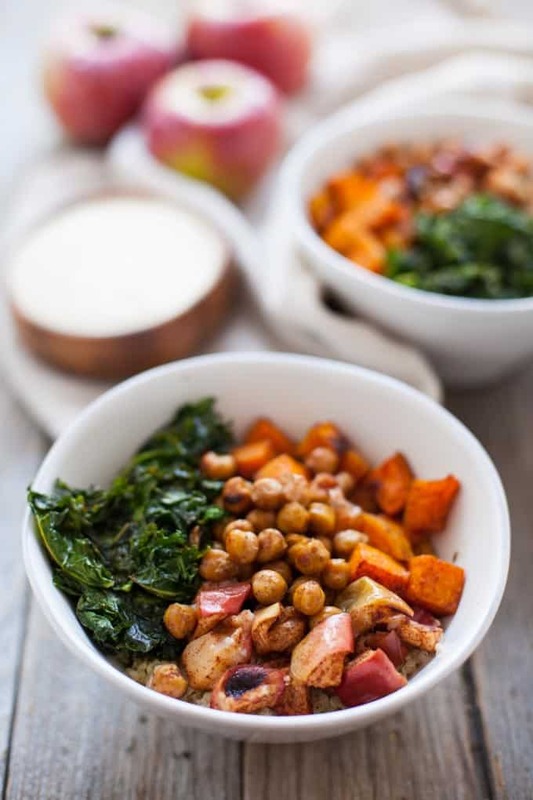 Enter my Fall Harvest Buddha Bowl complete with maple cinnamon roasted butternut squash, chickpeas, apples and kale, topped with a creamy cashew apple cider dressing. I’ve made this dish twice now and I seriously can’t get enough. I also have the leftover dressing in the fridge right now and I literally want to put it on EVERYTHING. It’s that good. It’s really easy to make too – just toss all your produce with cinnamon and maple syrup and roast it in the oven. Throw it on top of quinoa and volia! 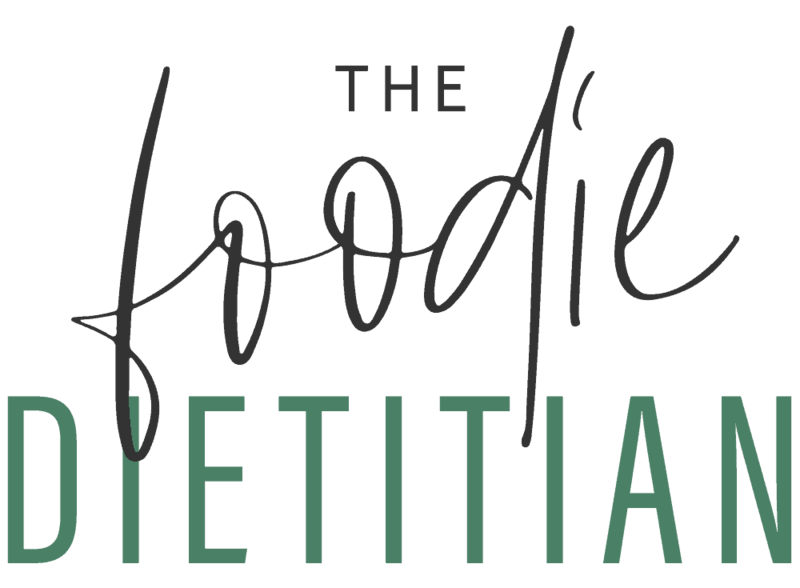 It’s packed with plant-based protein, fiber and vitamins and minerals and grounding foods, which are not only seasonal but also beneficial for us right now from an Ayurvedic standpoint. In a large mixing bowl, toss butternut squash, apples and chickpeas with 1 tablespoon olive oil, maple syrup, cinnamon, nutmeg and 1/4 teaspoon salt. Transfer to a large parchment-lined baking sheet and roast for 30-35 minutes, or until squash and apples are tender and chickpeas are crispy, tossing halfway through. Cook 2 cups quinoa according to package instructions. Add kale to the large mixing bowl and toss with remaining olive oil and salt. Transfer to a baking sheet and spread kale out in a single layer. Bake for 10 minutes, or until the edges of the leaves are slightly browned but still mostly green. Divide quinoa evenly between bowls. Add chickpeas, squash, apples and kale. 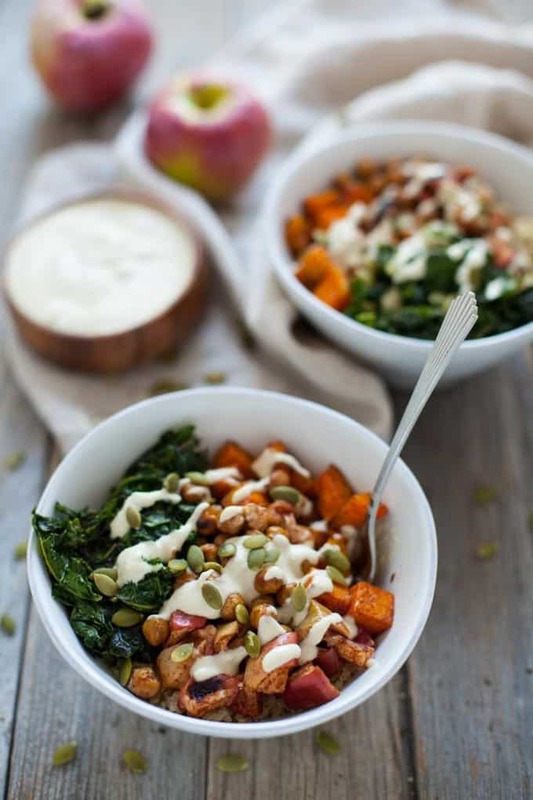 Drizzle cashew apple cider dressing over top and sprinkle with pumpkin seeds. In a high-speed blender or food processor, blend or pulse all ingredients together until smooth and creamy. 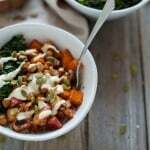 Drizzle over fall harvest buddha bowls. If you’re vegan and don’t consume honey, replace with maple syrup. I made this last night with 3 of my friends. The dressing was a little too tangy for me so I adjusted with more honey and made sure I let it sit to marry the flavors. I also saved some cashew liquid in case i needed a dressing thinner. Other than the small changes I made for my taste this recipe IS AMAZING! Wonderful!! So glad you and your friends enjoyed it! And thanks for sharing the changes to the dressing you made! What’s the nutritional content? Sounds like a yummy recipe I’m definitely going to try! Sorry, Stephanie I don’t have the nutritionals to share. Hope you enjoy! Looks great, but…for the cashew dressing, the directions are “1 cup cashews, soaked for at least one hour”. I assume you mean soaked in water? How much water? And do you drain the cashews before mixing into the dressing? Great questions, Karen! Yes, cashews should be soaked in 3 cups of water and should be drained before adding to the dressing. Made this today. Is so tasty and perfect for the changing weather! Thanks Kara! Thanks, Rebecca! Hope you enjoy! Autumn in a bowl! This looks so good and that dressing. Some of my favorite foods are in here Kara! Lovely! And that dressing sounds amazing! Thanks so much, Sara! This is definitely a new go-to weeknight meal for us. This looks amazing!! I love this month’s theme so much – so many great combos! Thanks, Nicole!! I loved this month’s theme too!